In addition to the HoloLens 2, Microsoft also announced the release of Azure Kinect, an updated and more powerful version of the Kinect motion sensor previously bundled with the XBox 360/One. Epic Games today announced that support for Microsoft HoloLens 2 will be coming to Unreal Engine 4 starting in May 2019. The announcement was made during an onstage presentation by Epic Games Founder and CEO Tim Sweeney during the Microsoft keynote at Mobile World Congress in Barcelona, Spain. This development has been highly anticipated by augmented reality (AR) communities across entertainment, visualization, manufacturing, design, and education. In a future release, Unreal Engine will fully support HoloLens 2 with streaming and native platform integration. Unreal Engine support for HoloLens 1 currently enables streaming to the device. It is an open source MIT licensed project with the source available on Github. Check out SculptGL in action in the video below. 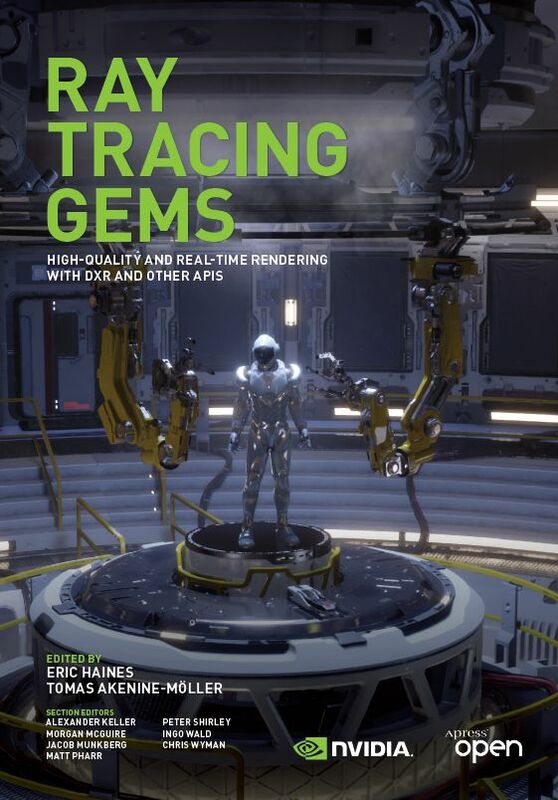 Finishing in hard cover form just in time for GTC 2019, NVidia and APress have team up to author Ray Tracing Gems, a book on real-time raytraced graphics development in the popular “Gems” format. Even better, they are making digital chapters available as they are developed, free to those with a NVidia developer account (which is also free). The chapters are distributed under the Creative Commons 4.0 International License and are available for download here. Unfortunately Part 5 is currently missing and parts 6 and 7 are slated to be published later this week. Once compiled the electronic version of the book will remain freely downloadable, although in what formats has yet to be determined. A new game development related Humble Bundle, the Humble Fantasy GameDev Bundle has just gone live. This bundle consists of thousands of art assets mostly with a fantasy RPG theme. As always with Humble Bundles, a portion of your proceeds go to the creator, a portion go to the Humble team, a portion goes to charity and a portion can go to support this channel.